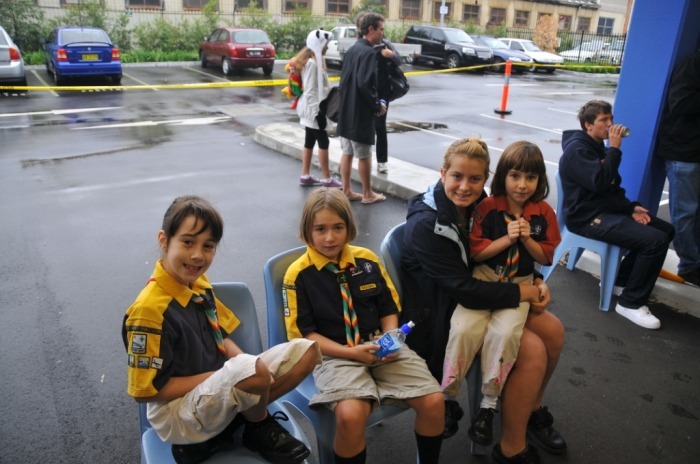 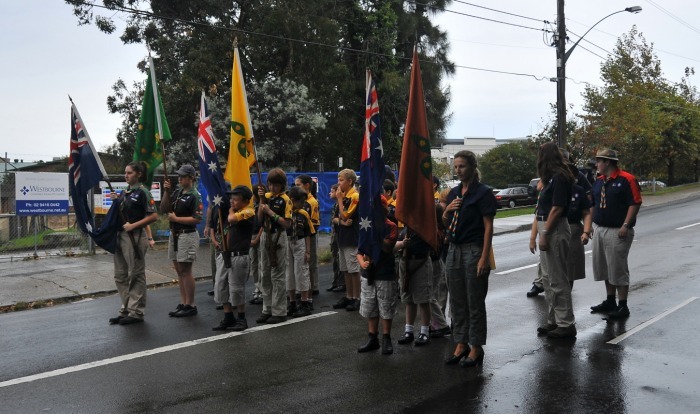 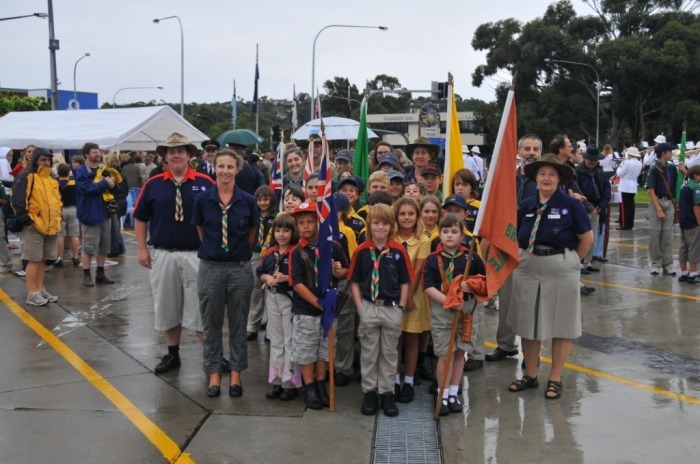 Anzac Day is a very important day for all Australian and it is one Brookvale - Curl Curl Scout Group takes very seriously. 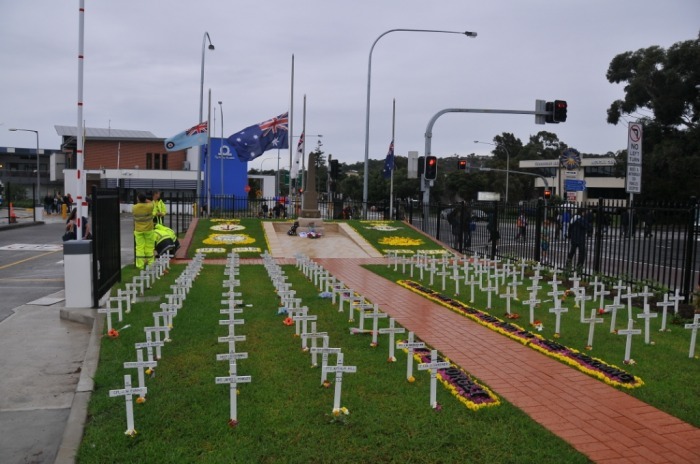 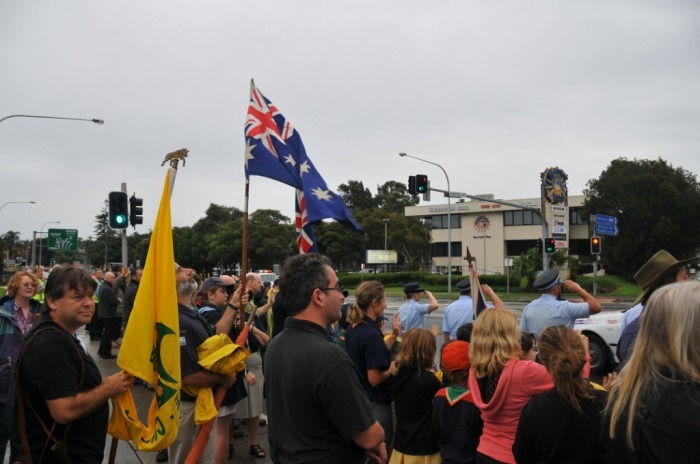 Every year we look forward to the Brookvale and Mona Vale State Transit Ex-Services Club March on Anzac Day. It is one of the ways we say thank all of those who have sacrificed so much for everything we hold so dear! We marched along with members of the Armed Forces, Army Cadets, Manly Warringah Pipe Band, Pittwater house Service Training Unit Band and other local community groups. It was a short march from Brookvale Public School to the State Transit Bus Depot in Brookvale and our members did us proud. They looked so smart in their uniforms. A formal cermony followed with the laying of wreathes, readings, which finished off with the National Anthem. 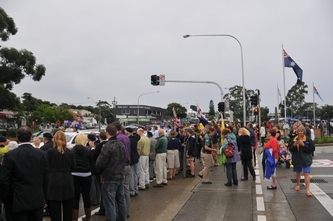 Afterwards everybody formed an honour guard along Pittwater Road for the 70+ taxis making their run from the War Vets home at Collaroy Plateau to the big parade in the city. 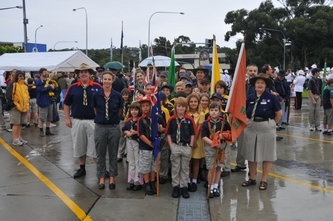 It was a wonderful morning and topped off with a sausage sandwich, a cuppa and catching up with good friends!